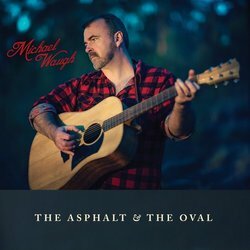 In the tradition of the troubadour storyteller, Michael Waugh is a unique, intelligent and emotionally charged performer – giving a profound and genuine new voice to the Australian experience. His lyricism cuts to the emotional heart of everyday experience, inviting one audience member to comment that Michael’s ‘words in every song, struck at my core’. Sometimes compared to the honesty and power of Australian folk and country legends such as Mick Thomas, Paul Kelly and John Williamson, Michael’s voice is emerging as one of the rarest and most original of talents in the Australian roots music scene – he is the real deal. His songs and stories are gut- wrenchingly honest, emotionally brave and compellingly beautiful. He sings about growing up in an East Gippsland dairy farming community, working and living in inner city Melbourne and of being a dad. Michael independently released two EPs in 2013, ‘Heyfield Girl’ and ‘Drafts’. At the 2014 Port Fairy Folk Festival, he met and performed with ARIA award winning country performer, Shane Nicholson. Shane produced Michael’s debut solo record ‘What We Might Be’ was released in 2016. Now comes The Asphalt & The Oval. This is the new single from that album.